Given the current Hollywood trend of refusing to give money to anyone besides the likes of Michael Bay, short films are fast becoming the go-to method for up-and-coming filmmakers to show off what they can do. Even established directors are getting in on the act, with genre vet Tom Holland recently releasing a short film he made during the infamous writers strike and describing it as a “F! the system” project. It’s easy to see where he’s coming from, as it’s getting harder and harder to get anything made these days, hence why young, wannabe directors are increasingly Kickstarting shorts instead of dreaming too big with a feature. In fact, it sounds a bit like The Following, that godawful TV show starring Kevin Bacon, in which Edgar Allen Poe is deemed the only writer to have ever existed and everyone talks too much instead of doing anything exciting. Thankfully, the latest project from Darkstar Entertainment manages not to rely on heavy-handed metaphors about the nature of murder, or lengthy speeches from try-hard academics, and instead launches the audience straight into the action. The tension unravels methodically, with the final, haunting shot a twisted take on our very first glimpse at the protagonists. The characters’ motivations are never quite clear–although the girl is definitely the instigator, which is nice to see–and they stick stringently to their broad vs. straight performances throughout. As they’re meeting for the first time, their dynamic is established in real time. He may be turned on, or freaked out, or both. She may be crazy, or faking it to look cool. Her strange, off-kilter delivery is the first sound we hear, as a nifty tracking shot introduces us to the neighbourhood in which the story takes place. Dilapidated, abandoned buildings and lifeless trees line the trash-strewn streets, echoing the death-gripped towns of recent, lovingly-captured genre flicks such as Only Lovers Left Alive and the terrific It Follows. 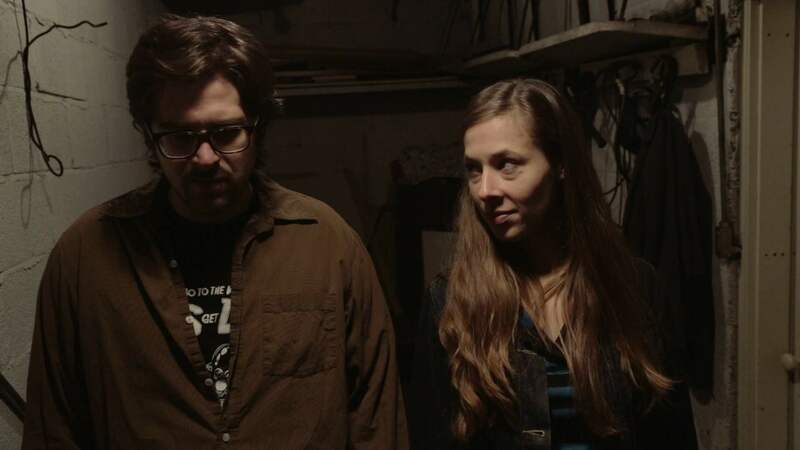 Although its title may suggest an optimistic outlook, Don’t Despair is a dark and twisted little tale that manages to put its point across in spite of the usual constraints of short movies. The best shorts pack a punch in less than half an hour. This particular one employs a simple, yet disturbing, premise and allows it room to breathe. Shot beautifully, boasting two (well, three) solid performances, a nasty side that isn’t reliant on gore, and with the most terrifically detail-orientated, dilapidated house imaginable as a key location, Don’t Despair is much more than the sum of its parts. Edited and photographed by Michael Hall (writer-director of the super-fun, super-schlocky Kids Get Dead movies), the film looks, sounds and feels a great deal better than it has any right. Unlike many others of its kind, Don’t Despair isn’t making a case for itself as a feature film. It is what it is–a showcase for an up-and-coming filmmaker’s abilities–and it makes its mark accordingly. Considering the majority of horror shorts are basically glorified YouTube screamers, it’s refreshing to see a well-written, well-performed slow-burner that isn’t afraid to leave certain things left unsaid. After all, as Giancarli himself acknowledges, it doesn’t need any more padding to make an impact: “I can’t really picture it as a feature film” he explains, “I envisioned it as a short. It’s short and bittersweet”. As well it should be.